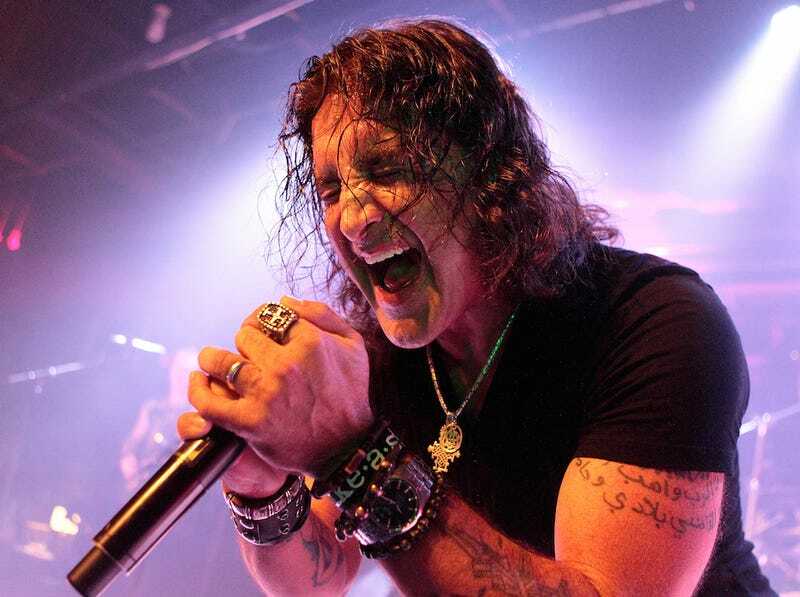 Creed frontman/well-known Jesus impersonator Scott Stapp is going through some stuff right now. His case attracted public attention in November, when he posted a 16-minute video to his Facebook saying that he was broke and homeless and under vicious attack by unnamed parties out to get him but was definitely not dead or on drugs or in need of being committed, as some unnamed parties seemed to think. News then emerged that, previous to the video's posting, Stapp had been placed on a 72-hour psychiatric hold after cops found him "wasted, incoherent and rambling that someone was trying to poison him." Stapp's wife, who has since filed for divorce and is seeking full custody of their children, told police that this is a potentially "fatal drug binge, fueled by steroids, weed, cocaine, PCP, Special K, Crystal meth, and various Rx drugs." Stapp, on the other hand, seems to think that he is being targeted by mysterious forces (including the IRS, who have stolen all his money) for having criticized Obama. Thus, Stapp believes himself to be on a mission: TMZ has audio of his wife and sister-in-law calling 911 after he escaped from the mental facility where he was being held last month. [Stapp's] sister-in-law told the 911 dispatcher he was cruising around his neighborhood, shirtless on a bicycle. She says the former Creed frontman claimed to be a CIA agent and his mission was to kill Obama. [....] Jaclyn Stapp, Scott's wife, joins the 40-minute 911 call, telling the dispatcher Scott had printed out 400 - 600 pages of CIA documents which he supposedly found online, put them in a book bag and took off on his bike. Stapp then placed his own 911 call, saying his wife had stolen his truck, thus forcing him to ride his bicycle. When the cops came to investigate, Stapp told them that his wife had also stolen $6 million from him. The cops decided that Stapp's condition was not sufficiently unstable enough to warrant another psychiatric hold.